Printmaker, painter and visual editorialist, William Gropper (1897-1977), spent six decades bearing witness. Growing up in poverty on the Lower East Side, Gropper learned early about social injustice. He dropped out of school to work in the sweatshops but found respite in drawing and studied with Robert Henri and George Bellows. Gropper’s aunt was a victim of 1911’s Triangle Shirtwaist Fire, which further radicalized his thinking. Along with his study of artists who came before him, it was the graphic works of Goya and Daumier that helped solidify his direction as an artist. From 1915-1935, Gropper held staff positions on various publications, from Vanity Fair, The New Yorker, the New York Tribune and Smart Set, to leftist papers such as the New Masses, The Nation and the Sunday Worker. Incredibly prolific, for the Yiddish Freiheit alone, over an eleven year period Gropper created thousands of political cartoons. Gropper began to paint in the 1920s, but didn’t exhibit until 1936. That year, Vanity Fair sent Gropper to Washington, DC to document the Senate, its proceedings and its prominent members, which spurred a lifelong interest in the failure of democracy as a political structure. In 1937, Gropper was awarded a Guggenheim Fellowship which he used to tour the Dust Bowl, resulting in a series of paintings and drawings. The drawings with their pithy observations were serialized in The Nation, illustrating the resulting crises of poverty, disease and migration. Though targeted by the FBI as early as 1941, in 1953, Gropper was subpoenaed to appear before Senator Joseph McCarthy’s Permanent Subcommittee on Investigations, to answer the allegation that his work was inspired by Communism. He invoked the Fifth Amendment and was blacklisted. From 1953-1956, Gropper derived inspiration from Goya’s Los Caprichos, depicting late 18th-century Spain and its discontents, for the series, The Caprichos, illuminating the horrors of the paranoia and scapegoating he suffered in those years. The exhibition, Bearing Witness: Drawings by William Gropper, will examine original drawings from the collection of Harvey and Harvey-Ann Ross, many of which are being exhibited for the first time. For Queens Museum visitors, issues of political hypocrisy, surveillance and censorship, human rights, mass genocide and immigration in his drawings; resonate with the current socio-political climate. 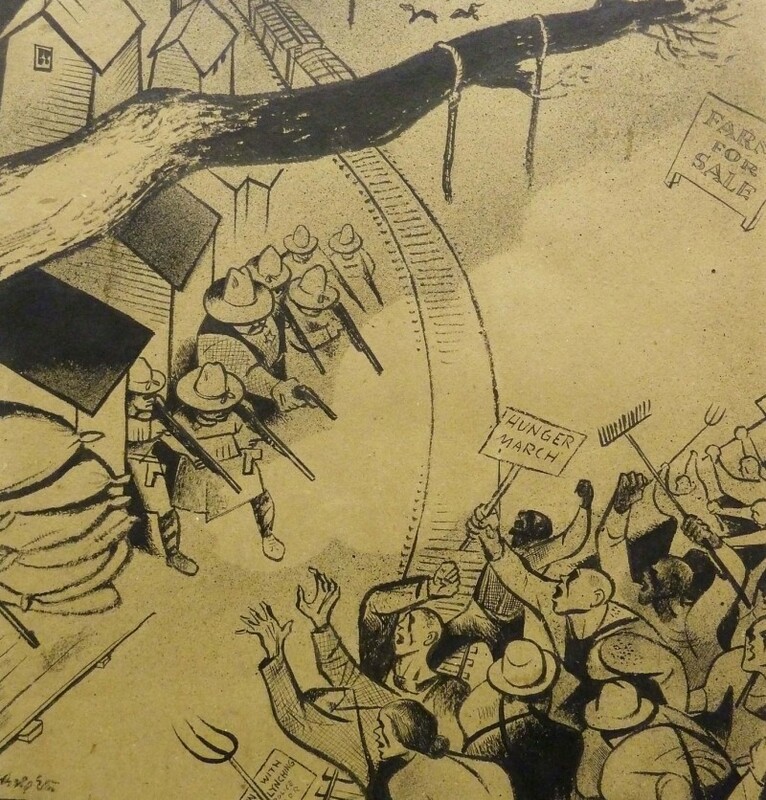 Bearing Witness: Drawings by William Gropper is generously supported by Harvey M. Ross. Additional support is provided by the New York City Department of Cultural Affairs and the New York State Council on the Arts with the support of Governor Andrew Cuomo and the New York State Legislature.